Drafting your business plan? Need advice on raising finance? Your business plan is not just a strategy for your business, it is also your application for finance and an essential element of the finance process. Many people think that writing a business plan is a straightforward process and are then surprised when they get turned down for finance. Whatever stage you are at in the research process, bring your plans to the exhibition. Experts from Hitachi Capital Franchise Finance will be happy to take you through a simple yet structured process enabling you to write the best application and maximise your chances of successfully raising the finance you need. Would you like to receive the FranMail newsletter? Thank you for booking an appointment with the team from Franchise Finance at the Finance Clinic. 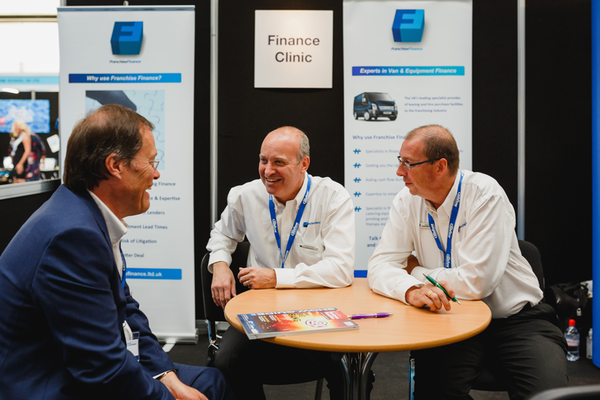 To access the Finance Clinic, you will also need to book free tickets to The Northern Franchise Exhibition on 21 & 22 June at EventCity, Manchester.